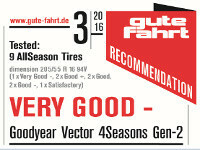 Overall: The second generation of the multi test-winning Goodyear Vector 4Season focused on improving the wet ability of the tyre, and judging by this test theyve been successful. 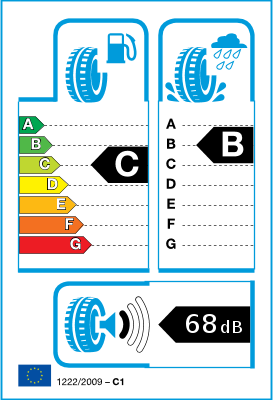 The Goodyear won the wet tests, beating even the summer tyre in wet braking, handling and on the wet circle, came close to the best in the dry, and was second overall in the snow. 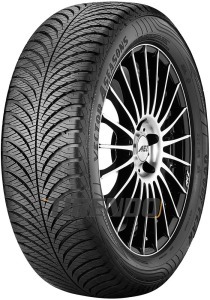 When combined with the best rolling resistance and second quietest ride, the Goodyear might actually be the best all season tyre for the UK, where wet roads are more of an issue than snow.